I’ve been awaiting this film like many have with trepidation so when I got to see it at the beautifully designed Rex cinema in Berkhamsted, Hertfordshire, I went ready to find fault. But I need not have worried too much. I had heard that it was loud and a little brash and the Man of Steel of the title played by British actor Henry Cavill was meant to be a bit too moody and dark to play Superman. Again, I needn’t have worried. 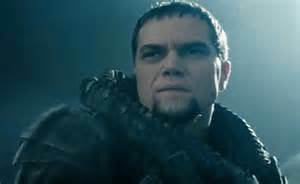 It starts on Superman’s home planet of Krypton where a struggle for power led by General Zod (Michael Shannon); a friend of Superman’s father, Jor-El, played by the brilliant Russell Crowe, tries to take control of the planet and government. The reason is that the planet is on the verge of destruction, its days long numbered but there is a back story to this that differs from the original film and it’s to do with the future of the race through genetic engineering for they can’t have children naturally. Kal-El is different though for he is the first to be born naturally in many generations and in being so makes him special. Michael Shannon as General Zod. Like the original film, Zod and his followers are trapped and caught where they are sent to an eternal prison otherwise known as the Phantom Zone but only after killing Jor-El. Soon after this, Kal-El is sent away in his ship towards Earth as Krypton blows up killing all quickly including his mother Lara Lor-van played by Ayelet Zurer. 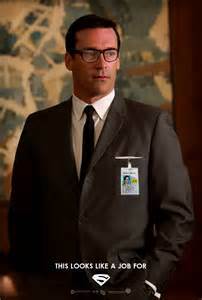 Fast forward about twenty-five years and we find Clark Kent working on a ship where he saves lives on an oil rig. He is seen and leaves next working at a bar where he turns the other cheek when louts try to antagonise him. We have flashbacks of his life with his earth parents played by Kevin Costner and Diane Lane who play Jonathan and Martha Kent as well as their predecessors. It seems he is searching for his past and where he comes from and it was at this point that it becomes a spiritual journey as well as a biological one. I grew up watching the Christopher Reeve films and loved them for what they were but when you think on the character you realise that he has to be pretty messed up even with his brilliant upbringing by his Earth parents. Knowing he’s from another planet but not knowing what, when, why or how he came to be or his past is the pull of the film and the entire story. It’s about his past journey and future one. As the Americans say, we can all relate to it and I’m sure many of us remember rebelling against our parents as teenagers as well for no other reason that being teenagers. The next we see Clark is when he is in the Arctic where he finds a ship. This doesn’t seem to be explained as to how he found it but a research team is there along with the US army. He investigates the crashed ship and a sentinel of the ship lets him do so. It’s not long after that Lois Lane finds it having been brought along by the research team and Army. She inadvertently makes a mistake and it tries to attack her where Clark saves her and in doing so she sees who he really is straight off from the beginning and all the way through the film knows his true identity. This was my first problem, albeit a small one for the whole point of their relationship was that she didn’t know who he really was. It also turns out that due to Krypton being destroyed, the Phantom Zone is no longer a prison and in doing so has released Zod and his followers where they head to Earth looking for the Codex that will bring their people back to life on Earth. 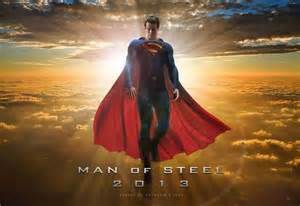 It’s here that Clark quickly dons his suit and cape for the first time and becomes the Man of Steel. 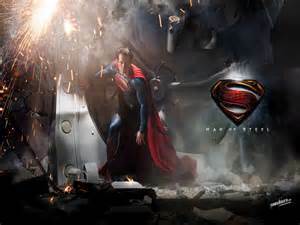 What follows is all out war between the invaders and Superman with the people of Earth caught inbetween. People and buildings are destroyed and levelled at an alarming pace and Kryptonian technology tries to destroy the Earth and recreate Krypton on it. If this had come out around the time of 9/11 then I doubt it would have been so eagerly anticipated. It’s only a film though and pure fantasy so why would people be bothered anyway when we see much worse just watching the news from across the world. Now I got the impression in all of this destruction that a few of the top brass in the army and government knew who Superman’s identity was on Earth and where he grew up for he said as much himself when he said he grew up in Kansas? Silly mistake that wasn’t it? Yes, he dons the glasses and yes he works at the Daily Planet at the end and with a sequel already being written with him fighting against Batman, all I can say is it will be one mad and full-on film. I hope that they team up to fight a common foe and not each other but it seems this won’t be so. Only the future knows that. Personally I loved it. It was a proper popcorn film not to be taken too seriously. I read a few comics when I was a kid but never as serious as people do now. I can only imagine what they may think of the re-imagining of the story which needed it to go from the sickly all-American hero to a world hero which it just about does. There is very little flag waving in this; just a little but not enough to grab for the sick-bag. Also having a darker Superman makes for an interesting dynamic and we Brits pull that off as actors like no other country does. All I can say is roll on Man of Steel 2.